If there is an adjective to describe the home studio at Bayshore Park, it has to be magnificent. There is nothing like fulfilling the satisfaction of having your own studio at your very own space. In the heart of the East with the lovely sight of East Coast Parkway sits Bayshore Park. A bespoke private residential estate that overlooks the coastline of Singapore. Internationally renowned speaker Ron Kaufman is a service marketing guru. Prior to the actual construction of the space, constant meetups with the interior designer from Ensemble were scheduled to ensure that the details of the construction were absolutely up to standards. This helped to improve the communications between our consultants together with the rest of the team. Contractors Joe Chan from Projects2000 are also kept in the loop as construction was in progress. We informed them the different parts of the recording studio such as the air conditioning system, power socket placement etc. As the room is irregularly in shape in a half diamond, trapezium shape room. This made it slightly easier for our team to handle the dynamics of the room. The main design of the studio featured a floated floor completed with walls and a ceiling. The client’s criteria are to ensure that the noise and vibration are isolated and for external noise. from entering the studio. Therefore to add extra value to the client’s project, we made contact with Munsoon Industries Pte Ltd to add value to the home studio. 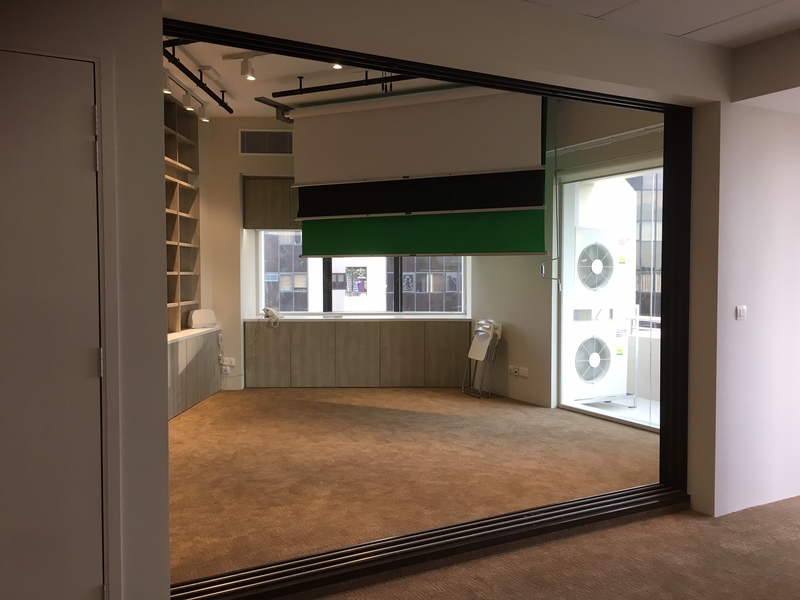 Selling acoustic glass sliding doors, a 3-panel sliding window fits with a drop system. This installation in front of the studio provides easy access and viewership from the control room. Soundzipper therefore also provides a custom acoustic door for quick access. 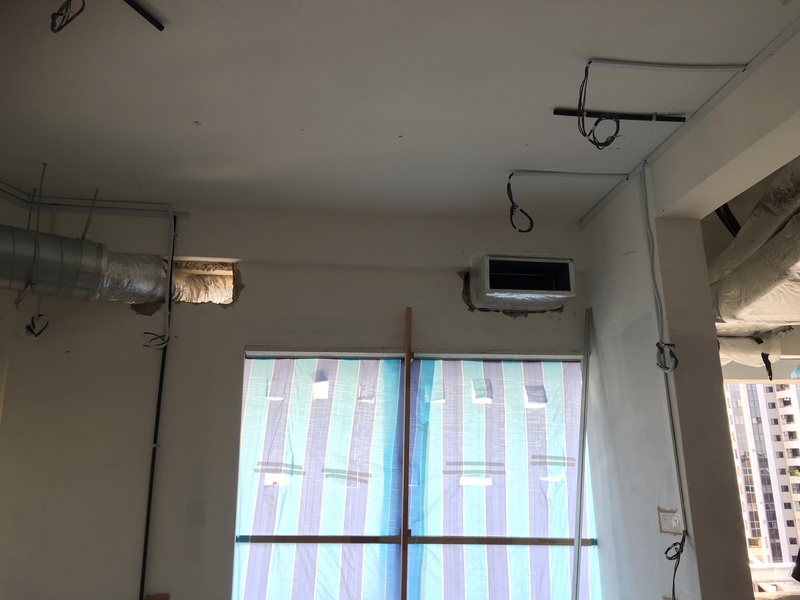 As a result to this, special attention to ensure the Air conditioning system was quiet and noise proofing are added to enhance the experience of the room. Soundzipper wanted to ensure that the quality service is of the utmost standards. In order to ensure that we meet the quality and experience that we want to give our customers as such regular trips to the client’s space are recommended. This will enable us to keep the acoustic aspect of construction maintains its standard. In addition to the vital soundproofing elements, the finale of the room is the fitting of the green screen in the background. Therefore, the final product can look visually appealing as it sounds. If you like your space to sound this great, please write in or send us a query. Our consultants will be happy to assist you.